This is a wonderful thing for a Sunday, and I’m very pleased to post this article written by two new contributors to the Brownhills Blog, Gregory and Bill Challis. Bill was formerly a Brownhills Man. I’ll let them explain in their own words. I came across your website and was fascinated by the programme for the 1950 music festival in which my Grandpa, and namesake, had an advert. I have been working with my Dad (Bill Challis, born 1930) and formerly of Lichfield Road, Brownhills on writing some memories from before and during the war. Dad says the advert didn’t include a phone number because they didn’t have one at that time! I thought that you might be interested in a couple of the stories, perhaps even publishing them on the website. One about the old horse drawn fire brigade before the war and another an account of the bombs that were dropped on the village in 1940-41. Please let me know if you would like me to send either of them. Many thanks and keep up the good work, the website is a real treasure trove. PS Dad wanted to know if you have had much on the website about the King of Norton Canes? Well, we’re interested in all local history here, and Norton may be over the water, but it’s all good stuff. I’d heard nothing about royal lineage in the village, either, so naturally, I snapped Greg’s hand off. The Young David Evans has done some great stuff on Norton, and I’ve covered the Conduit Colliery before, too. I think readers will agree that the result is beautifully written, warm and, above all, highly engaging. I thank Greg and Bill most profusely and welcome any further contributions. Please, if you remember Bill, or his family, or if you had a brush with royalty, don’t hesitate to comment, or mail me on BrownhillsBob at Googlemail dot com. Cheers. 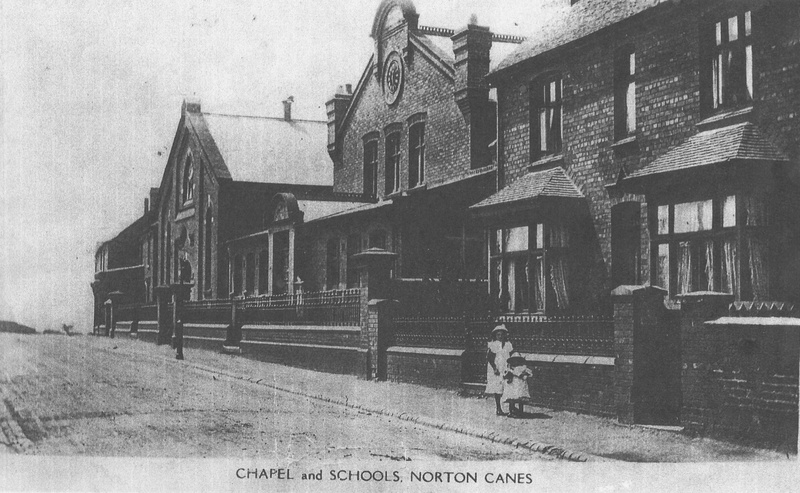 Norton Canes was once a poor mining community. It’s now a bustling village. Imagery from Bing! Maps. Please click for a larger version. ‘Bill’ Challis, was born William Edmund (after his father’s home town of Bury St Edmunds), in September 1930, at 27 Lichfield Road, Brownhills. The family later moved to 27A, a house which his father had built by dividing the large plot of land on which No.27 stood. Bill was educated at Ogley Hay Infants and Juniors School, Brownhills and later won a scholarship to King Edward VI’s Grammar School, Lichfield, 1941-46. His mother, who also hailed from Suffolk, was Marjorie Jane (nee Hyslop), who raised nine children. and his father Greg Challis was a painter and decorator well known in the district. Norton’s pits were hard. 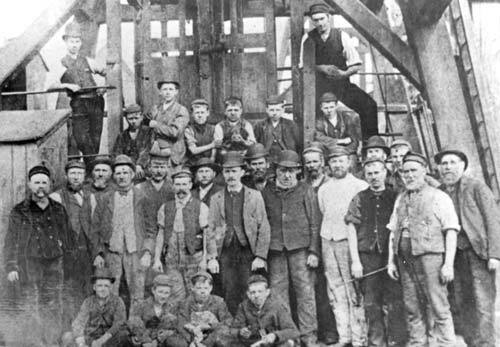 Workers pictured at the Conduit Colliery from Staffordshire Past Track. On the Cannock Chase coalfield small villages sprang up adjacent to many of the collieries. Some, like Brownhills, grew and flourished, but many remained pit villages where the well being of the whole community was dependent upon employment in the local mine. It was common practice for mines to have a nickname, one being the ‘Lady’ pit because when it flooded a titled Lady put up the money to pump it out and restore it to production. Saddest to me was The Vigo pit, Walsall Wood. The coal seams here were deep underground and the road to the coalface was long. No coal could be produced until the shaft had been sunk and the wages were always appallingly poor while the miners struggled to sledge, bar and blast their way to get to the coal. As a result, credit ran out at the local shops and families couldn’t even afford bread and lard and were reduced to eating dry bread. The suffering of the men and their families were legendary in the district and hence the name stuck – ’The Dry Bread’ colliery. Norton Canes was way out in the wilds at the end of the mineral line. This was a single track railway over which coal trucks were hauled to the sidings and marshalled for dispatch across the national rail network. The only mine was difficult to work and gave low outputs per shift. Since the miners were paid on output, wages were low and the village economy was stunted and poor. The coal seams were at shallow depths and when dug out resulted in extensive subsidence. This had ‘pulled’ the houses and they leant at drunken angles with cracked and distorted walls and gaping windows through which coal dust blew in summer and, in winter, freezing wind and rain against which the miners’ wives slaved to keep their homes clean and raise the children. Despite everything, Norton Canes did boast its own King. No-one in their right mind, would want to be ruler of a Kingdom with such poverty and, in fact, the King was mad. He was a small, weather-beaten and thin, wiry man who used to roam around and announce loudly, ‘I’m the King of Norton Canes!’ He wore a bent trilby, and his face was beaten red by the weather and his nose shades of purple and blue. Somehow he always seemed to have several days growth of stubble, although I never saw him clean shaven or with a beard. He carried a branch as a walking stick and was bizarrely dressed in any old clothes he could get his hands on. Local youth thought this was hilarious and he was always known simply as The King. Deranged as The King might have been, he was not entirely stupid when his own interests were at stake. For instance, he was reputed to have gone into a public house and asked for a pint of beer in exchange for two stamps. In those days an unused postage stamp could be traded in lieu of money. Having got his glass of beer, the King drank it, stamped his foot on the floor twice and walked out. The youth of the village considered themselves entitled to give him cheek, although I was always rather wary of him. One fine summer evening, we heard the voice of The King in our back yard declaiming, ‘I’m the King of Norton Canes’. It proved difficult to get him to leave and it was then that Father made a fatal blunder and gave him sixpence to go away. What this did was to ensure that we had to endure repeated audiences with The King. The only respite came when he was caught stealing two cabbages from a farmer’s field and was sent to prison for a short while. She passed. ‘What’s it to be?’ said father. Mary replied: ‘I want a dog.’ So she went to Lewis’s store in Birmingham. It is etched on my memory, because she had put her handbag down next to the rabbits’ cage and a rabbit nibbled a hole in it, through which she lost sixpence. A sight Bill would recognise, from an early postcard supplied by David Evans. I was staggered. How could anyone be so careless to have sixpence in their possession and then lose it? But she did return with Towser, a mongrel puppy. There were nine children in the family and, with their friends, the dog was spoiled rotten. If you called it, it would come only if it thought there might be some advantage for itself. If not, it simply ignored you and walked away. When unable to make up its mind, it would shuffle around sideways. One evening, when fooling around one of brothers got a shoe off Mary’s foot and tossed it to Towser who shot off with it at top speed. We chased him for nearly a mile until he tired and we caught up with him. But at some point, he had lost interest in anything but the chase and dropped the shoe. We searched everywhere but never found it. Ball games were a favourite target for him. Waiting for his chance, he would rush in, seize the ball and make off. Usually that was the last that would be seen of the ball. Towser was the bane of bona-fide callers at the house; he was not vicious but liked to nip the back of their heels. In consequence, the postman, newsagent, milkman and other tradesmen no longer called at the back door but handed their wares in at the side window. The King’s visits to us were always in the evening because that was when Father would be in and this was his only chance of getting paid to go away. Mother’s charity did not extend to The King. Came the evening when we heard the familiar sound of The King announcing his presence and status and Towser’s chance to show his mettle. We opened the door and out bounded Towser. The King demanded his allegiance and Towser grovelled before him, crawling up to his feet and licking his hand. The King held court in our back yard, and again we were detained at his Majesty’s pleasure. Mother cursed Towser as a wretched useless cur. And Father swore and gave The King sixpence to go away. Many thanks to Gregory and Bill, stories like this bring the past to life. It is particularly interesting to me as I have just sent Bob a piece concerning the ‘Lady Pit’, which no doubt will come out in due course. The pit refered to is Coppice Colliery, and the Lady being Mrs Bowring Hanbury (formerly Mrs Hanbury). The ownership passed to her on the death of her first husband, Robert William Hanbury, in 1903. In a publication by the Cannock Chase Mining History Society the lady is refered to as Lady Hanbury, and later Lady Bowring Hanbury, but I was unable to find any title referring to herself or either of her husbands. In Bill and Gregory’s story she is refered to as a “titled Lady” and so it seems that there may be some confusion! My theory is that the miners wishes to call the pit “The Fair Lady” after Mrs Bowring Hanbury were due to the regard thay held for a courteous, genteel and some say beautiful woman; for a lady who on several occasions had showed her genuine concern. Maybe over time the “Fair” fell out of use and became “Lady Pit” and so a presumption of a title? You’re on tomorrow, old chap! Work is giving me hell this weekend. a sincere thanks to Gregory and Bill for this very interesting article. I think very few people in present-day Norton will know much of their former “King “. As you have kindly put the “blue” links to the Conduit Colliery this will also be a rich addition to the local History resources….so..my immense thanks to all, especially to your good self for giving / making the time to create ,assemble and publish this vaulable article. It is greatly appreciated. Lovely story Bill and Gregory, many thanks to you both, and Bob too. What a great story, thank you to Gregory and Bill. After reading :Scouting for History ‘ on the blog, my own thoughts turned to my own experiences with the 2nd Brownhills Scouts in the early part of the war. Few names remain, but one that did, was a certain Bill Challis, and I was delighted to find the self-same Bill Challis together with son, Greg, had produced, ‘The King of Norton Canes’. which gave me so much pleasure as I read it. Bill was one of the ‘characters’ in the troop. often a little late, he would offer such a charming apology to the Scoutmaster, Bill Bates, before settling down to ‘British Bulldog’ or whatever activity was going on at the time. Little did I know, at the time , that the years were to bring me into very close contact and friendship with the founder of the Challis clan, Brownhills, the late Gregory, father of Bill and grandfather to young Greg. Gregory named his new house, ‘Suffolk House’, after his beloved county, and a little of the Suffolk accent still lingered, after all his years in the Midlands. moving later, in his declining years to Hough Road, Walsall, but still able to ride an autocycle, even in his seventies, pedalling furiously until the engine fired Greg was, for many years a very active member of the ROAB and had the distinction of earning a Grand Lodge members collar, perhaps the very first time this distinction was afforded to a local member. Greg never possessed a car, and it was my great pleasure and honour to visit many West Midland lodges, with him. His contribution to the proceedings with his memories of early Buffalo days, tinged with the humour that was always bubbling away inside him, made every visit, memorable. I last saw Bill at his father’s funeral, many years ago. My thanks again to Bill and Gregory for this piece of history and for the pleasure of reviving such memories for me of those happy, bygone days. .
Nov 1945…RAOB…ceremony at Alexander Lodge, the Cabin, Rugeley…record attendance of 140 honoured by the presence of two PGP’s, brothers Greg Challis and HA Bridgewater. Dec 1944…and Dec 1945…King Edwards School Speech Day…L Vb Form prize…WE Challis, French and English. Aug 1935…Brownhills Council…Plans recommended for acceptance…New buildings, 6 houses, Salter’s Road, Walsall Wood for Mr G Challis. My grateful thanks to Pedro for highlighting moments in Greg Challis’s Buffalo career in this way. Regarding the six houses in Salters Road, ‘therein hangs a tale’, as they say, The year 1935 was right in the middle of the ‘hungry thirties’ jobs were difficult to obtain and many builders were experiencing severe financial difficulties. This was much to the advantage of private landlords, who would screw a builder down to the cheapest price possible to obtain the tender. Greg built those houses for £105 per house, primarily to keep his little workforce in work, away from the evils of unemployment benefit and the dreaded Means Test, leaving a meagre pittance for himself. Despite the limited finance available, the pride and reputation of the builder is always at stake, and Greg was keenly aware of this. The houses are still there, a tribute to the integrity and expertise of a true craftsman. 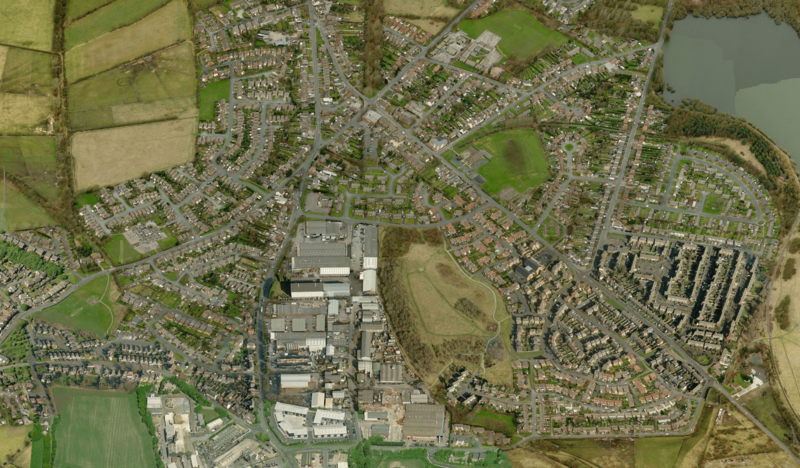 Haven’t visited Walsall Wood for many years, and have lived in Scarborough, North Yorkshire, since my retirement , nearly 20 years ago, that’s why my memories of Walsall Wood have remained unpolluted by postwar developments, so I confess I had to resort to Google Earth to answer your query. Very great pleasure to talk to you about these old times, Peter. Thank you David for taking the trouble to explain. Please Please Please keep contributing to the blog. I live very locally to these houses up by the Brickmakers Arms and would love to see any old photies you have of the area? If you get a chance maybe you could send some to Bob. Thanks again David, Peter. Yet again little snippets provoke old memories, I believe Glady,s & Ted Dorsetts son was Roger who was a little younger than me. We went to the same school and for a time Roger worked at Collins Express at the same time as me. My father was also injured working down the “Coppy Pit” but fortunately only ended up with a smashed arm which kept him off work for over a year. Thank you everyone for your comments and memories — some fascinating stuff which I will pass on to my Dad. They are really appreciated, as is the opportunity to share it with you offered by Bob’s first rate website. After we moved to Lancashire, our family continued visiting my Nan and Grandpa (Greg Challis) at their home in Hough Road, Walsall and one time I remember him beckoning me to the adjoining shed. There was no light and he lit a match, one of those short Swan Vestas matches, and in the quivering light there was his autocyle, pedals and all. Presumably the same autocycle that David Oakley mentions in his post. Grandpa used to keep a chest drawer chock full of sweets and every visit ended with the chance to choose from the biggest selection of confectionary I’d ever seen. Grandpa had 21 grandchildren and I think he was a generous soul and liked to keep well stocked up for these occasions. “Aldridge Colliery 1874 – 1936 ( also known as Dry Bread Pit)..was near the Vigo and in Coppice Lane, by Brickyard Road.”. and he gives full details of “Drivages through the Vigo fault..approximately three years had been spent in driving the headings for 500 yards finishing 1100 yards below the surface…great trouble keeping the roadways open..finally abandonded..a great amount of money and time had been invested with no financial return”. I’d love to hear more, and any corrections you may have. I took the article in good faith, so anything you can add is most welcome.